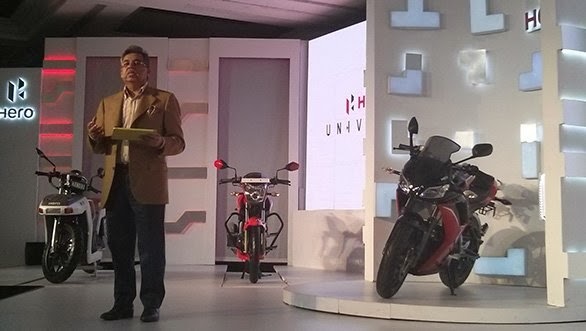 Today 29.01.2014 , Hero Moto Corp surprised the Auto world by announcing 5 new motorcycles. 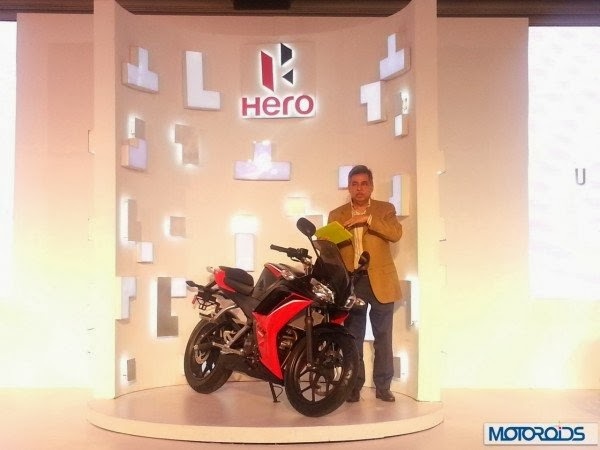 Hero showcased 5 different motorcycles with lot of features. But the pick of the lot is the new baby in 250cc segment, the Hero-HX250 R (name subject to change) and will be launched in September 2014. 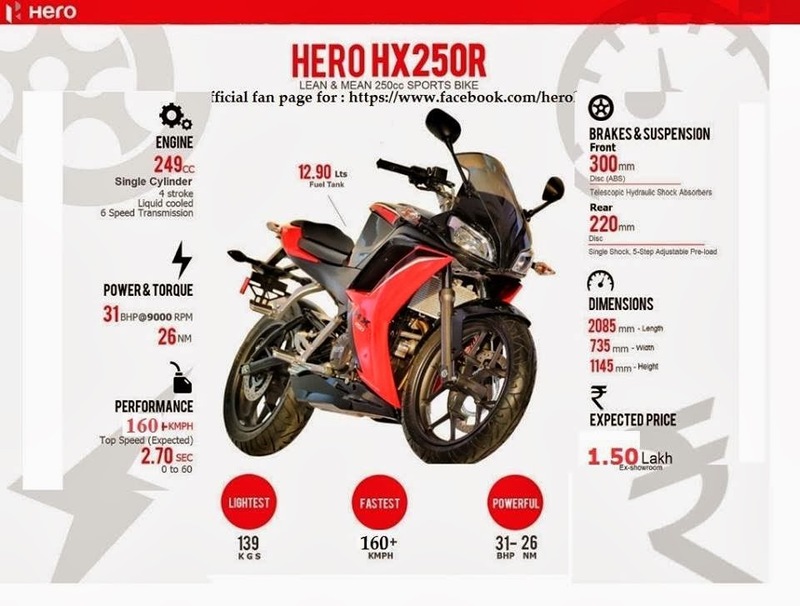 HX250 R will have a 250cc engine and which will deliver a whooping 31 BHP. 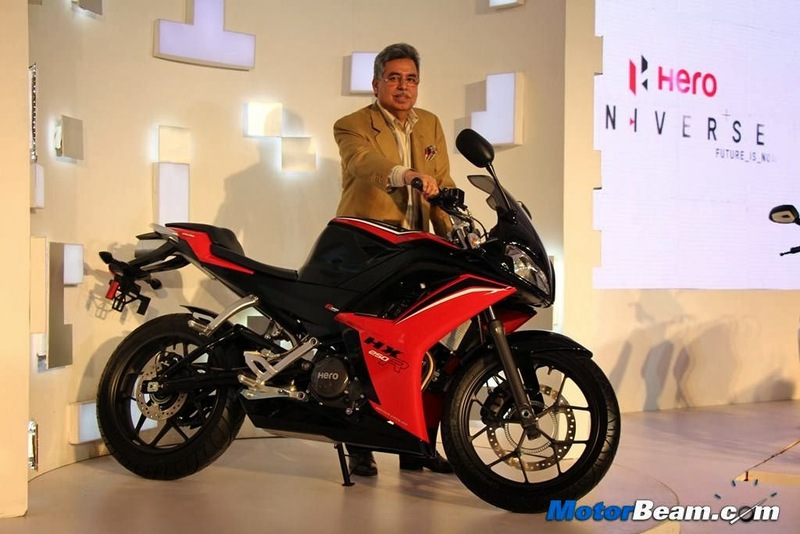 Hero promises this bike will do a 0-60kmph in just 2.7secs. 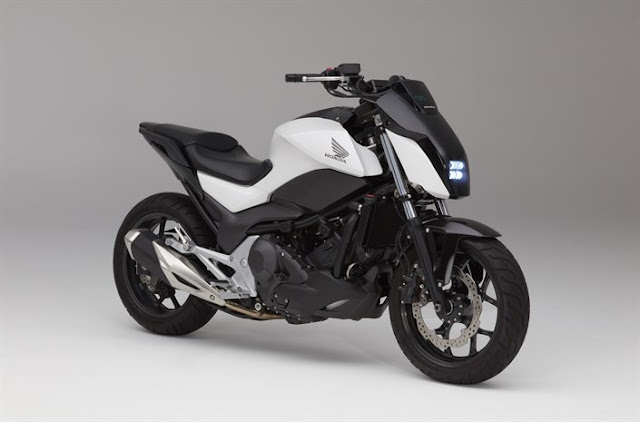 The HX250 R will have an electronically controlled fuel ignition system, supported with combination ABS braking system. 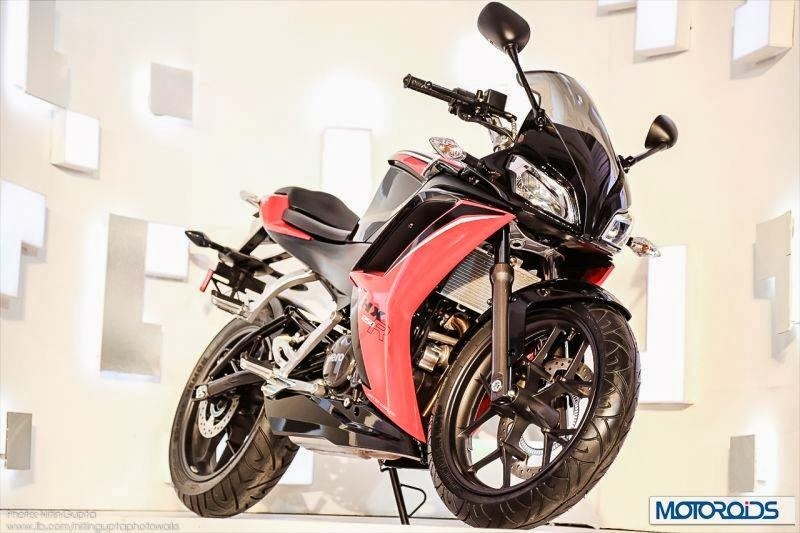 More to add, this bike comes with liquid cooled engine coupled with 6-speed manual transmission. The exhaust of this bike will be placed under the seat. All of this is packaged in a unit with a kerb weight of just 139kg. The HX 250 R looks sporty, with a telescopic suspension at front and 5 step adjustable mono-shock suspension at rear. Rear tyre looks quite broad and promises to provide stability on high speeds and while cornering hard.